Invasive Species Awareness Week: July 8th – 14th. Join us at the Library Monday the 9th at 7pm for an hour-long informative talk about what may be lurking in your own backyard! Caitlin Stewart is an Educator with the Hamilton County Soil & Water Conservation District, and a terrific speaker who will have tips for identifying and managing invasives, as well as present alternatives to plant. 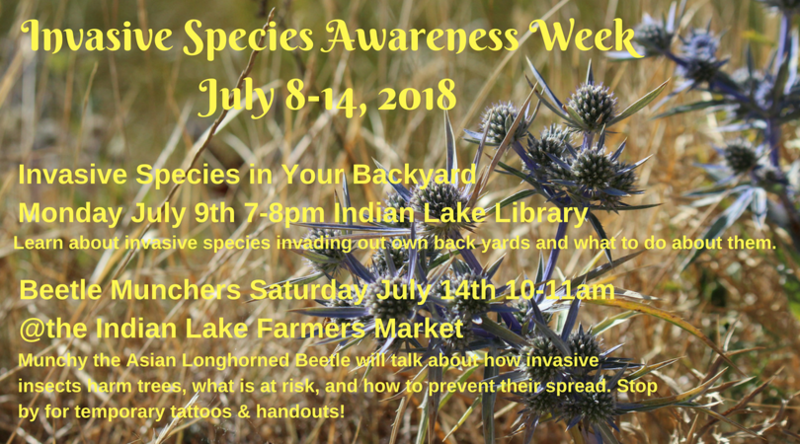 On Saturday the 14th, the library will sponsor another invasive talk, which will take place at the Indian Lake Farmers Market in front of the Indian Lake Central School from 10-11. “Munchy” the Asian Longhorn Beetle will meet and greet people of all ages. 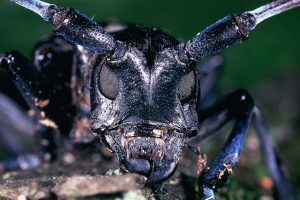 Attendees will learn how invasive insects harm trees, how to prevent their spread, and view specimens.